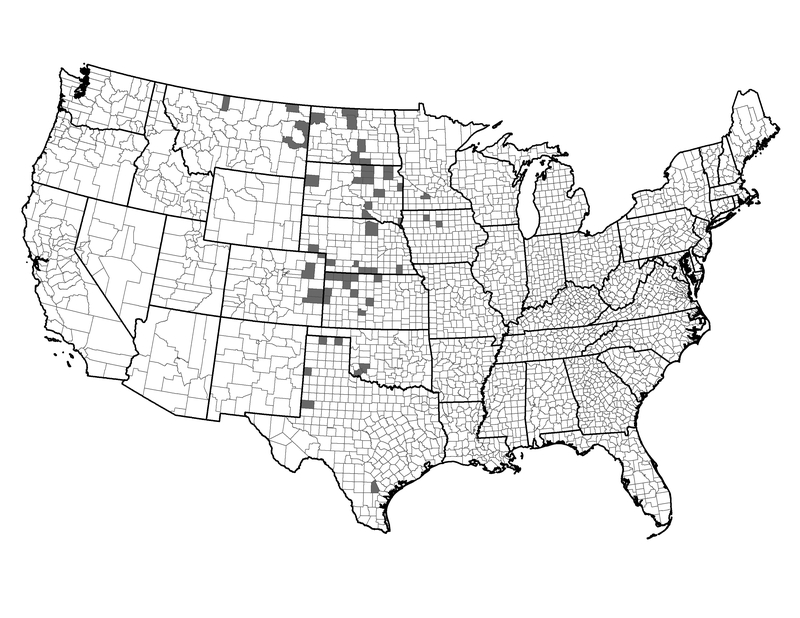 These counties of the northern and central Great Plains are distinguished by their rural, agricultural economies, low human populations, low area burned and few ignitions. While the short grass prairie that dominated much of this region burned frequently in prior centuries due in large part to human ignitions, wildfire is now relatively uncommon, and prescribed fire is limited to local managed areas. Example of a Typical County — McPherson County, South Dakota: This north-central South Dakota county is highly rural and includes the town of Eureka. Some of these counties have a history of prescribed fire and could expand or maintain use of this fuel management option.